Guides takes you to amazing places around the world. Guides by Lonely Planet — an Apple Editor’s Choice featured multiple times in Apple’s App Store and on Google Play —is designed to convert any type of traveler into a travel-savvy expert equipped to get the most out of every trip. 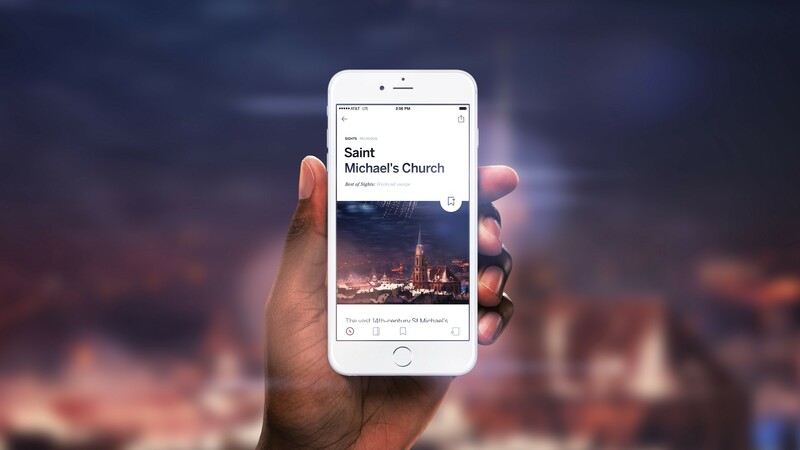 When we launched the app earlier in the year, we focused our energy on delivering expert-curated city guides powered with bookmarking and offline maps; now we’re releasing several new features on iOS to deliver an even better experience — adding 13 new cities, languages, and a redesigned city intro screen layout to help users delve deeper into a destination. It takes time to put out expert researched, high-quality content at scale, so we’re proud to say we now have 50 of the top cities around the world included in our offering. If you don’t see the city you want, simply vote for it in the app. We have many additional cities getting their final touches, and we are also adding more places per city, so expect to see even more destination content added in the coming months. 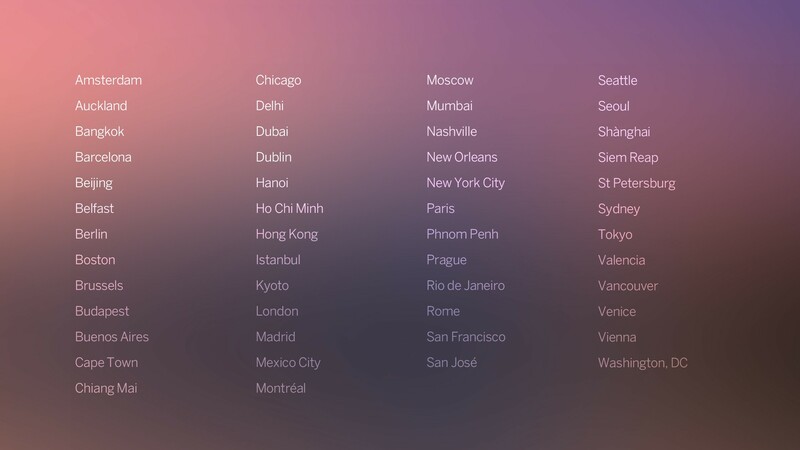 We designed the Guides app to provide access to all the cities listed above, but for each city to feel like its own app. When you are in the city view, you have access to the map, points of interest categories, and collections of things to do based on themes unique to each city. Now we’ve completely redesigned the Discover layout, with an emphasis on surfacing the most popular content to pull travelers into the experience more effectively. Our categories now frame rather than block the content, giving the user more options as they explore different areas of the experience. The layout now takes a more modular approach, allowing us to scale out the features without running into real estate problems. Stay tuned for more useful features added here in the next big release. A few years ago we released an app called FastTalk, which included audio clips of the most-used phrases in different languages around the world — we’re happy to say this feature is now included in Guides. Languages is a powerful feature that allows travelers on the road to both learn the language as well as play the clips to communicate with locals. Many of the key phrases come for free with the download. For $1.99 (USD) you are given access to all phrases of a chosen languages. Or, for $5.99 (USD) you may unlock all the phrases across all languages and categories. 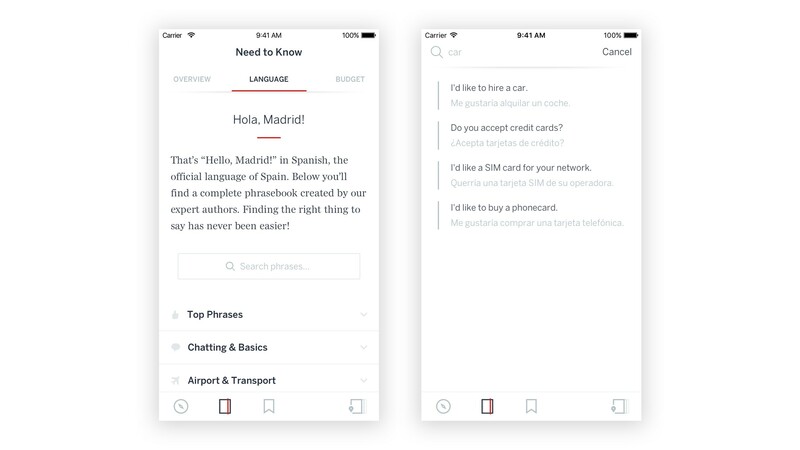 Guides now includes 18 different languages and over 10,000 phrases under the Need to Know section of relevant cities; the feature works offline as well, and also speaks the phrases on demand to help you avoid mispronunciation. These new features build on an already robust set of tools helping travelers get to the heart of a destination, including the ability to bookmark places, access offline maps and better understand how to budget for each city. This release also sees a major move to vector maps, which dramatically speeds up the download of each city — handy when you want to use Guides offline. The maps also have improved styles, layers and animations, as well as more in-map information. Be sure to download the app on Apple’s App Store or on Google Play. 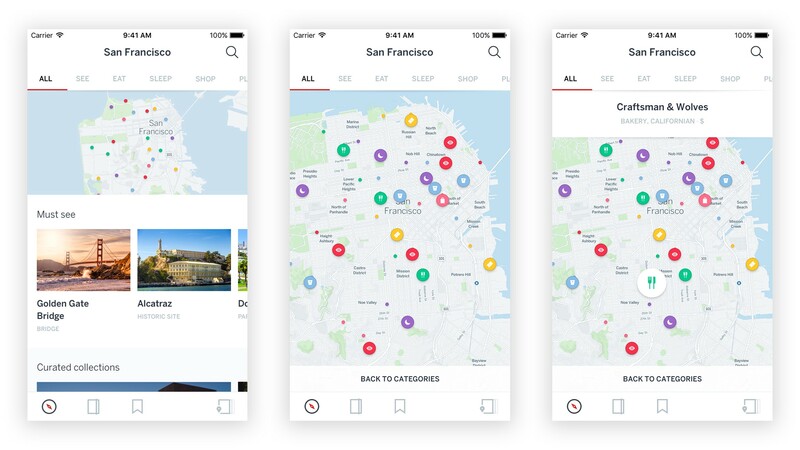 We still have a lot of improvements in the works, and are excited to see the app become richer and more useful to travelers looking for a dependable, boots-on-the-ground companion to help them get the most out of a city. Also, please send us feedback! We’re always looking for thoughts, ideas, and constructive criticisms after all the hard work we’ve put into it — just email us at appsupport@lonelyplanet.com and let us know what you think. A big hat tip to the core team including Aaron London, Ajay Panagariya, Claudio Guglieri, Diego Jiménez, Francisco Sevillano, Juan Carlos Peñalver, Justin Morris, Matthew McCroskey and Subodh Nijsure for the blood, sweat and tears it took to get Guides out into the world. Thanks to postmechanical and Diego Jiménez.